Angel Placements is owned and run personally by Dawn Kirenli. Dawn has a wealth of experience to offer. 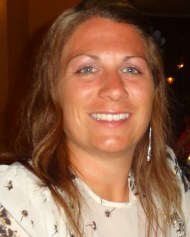 She has over 15 years childcare experience and 5 years training, recruiting and managing within the childcare sector. Now a parent herself, she knows she can provide a first class service, as she can fully understand client and candidate requirements. "Angel Placements is here to ensure that we find the most wonderful childcare for our families and the most rewarding jobs for our nannies." "We really listen and care about our parents and nannies needs, which ensures that our placements lead to committed and long term working relationships." Amy has over 14 years of experience within childcare, working in a variety of roles including as a nanny for 4 month old twins, with 3 school age children and in a special needs school, giving her a unique insight into the demands involved with caring for children with very different requirements. Amy fully appreciates what a childcarer will be looking for and, as a mother, is well placed to match this to the needs of a family.